The mobile communications arena is constantly growing and the associated infrastructures, transmission spectrum, integrated technologies and devices expanding at an almost exponential rate. And with the onset of the 5G revolution, offering increased data rates and device connectivity, lower latency, etc. and all the associated benefits then it’s even more important to know about the latest developments. 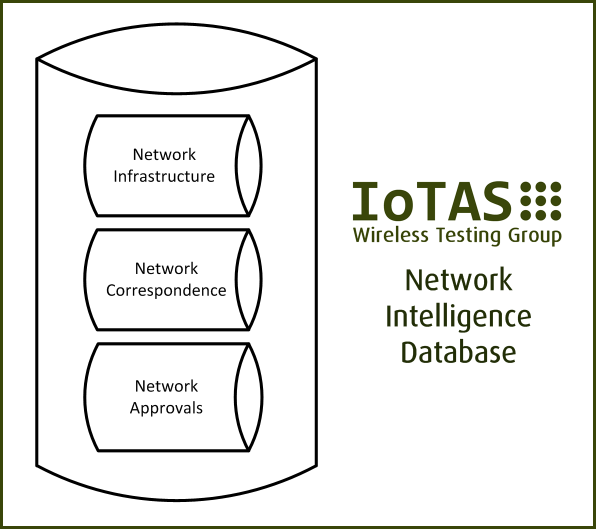 As a Recognised Test Organisation (RTO) and with over 15 years of cellular device testing on live networks, IoTAS have built up a formidable database of Network information which we refer to as our ‘Network Intelligence’. When Customers are discussing their testing requirements with us they expect us to know about the Operator networks, the Infrastructure supporting the services, coverage and test routes. They want to know what services are available across SIMs and if we can offer or source these items. Fundamentally they want to know that ‘we know’ how to support them and have the confidence to place their orders with us. 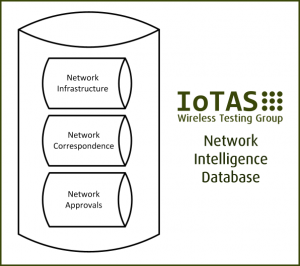 Without these key elements Live Network testing can not be planned and executed with the highest guarantee of success. – IoTAS track information regarding Network Approval processes in the UK/EU, Australia, US and LATAM where available and in the instances where this information is deemed ‘company confidential’ then we can consult and act as an intermediary during Operator discussions.